TBS Mother's Day Haul review! The Body Shop has been quite gracious and generous in treating us bloggers on this Mother's Day, not only the bloggers but all the moms are happy and loving the wonderful products. This has been the best Mother's Day ever! "Huda surely knows my love for Roses, I love smelling of floral fragrances, unlike her. I'm amazed that how she knew to pick this,a s I have had my eyes on this range the day it launched in Pakistan. The British Rose Shower gel is so freshly smelling that it really gives a feel that I am having a rose spa. Loving it a lot." Mama. "My hands are dry 24/7, I guess all mothers have that problem, due to all the chores we do all our lives. She tried being a good daughter bu picking the Wild Rose hand cream, and I must say she succeeded. You know I love roses, this is not only nourishing but also smells heavenly." Mama. Price: Pkr 1580/- 100 ml. 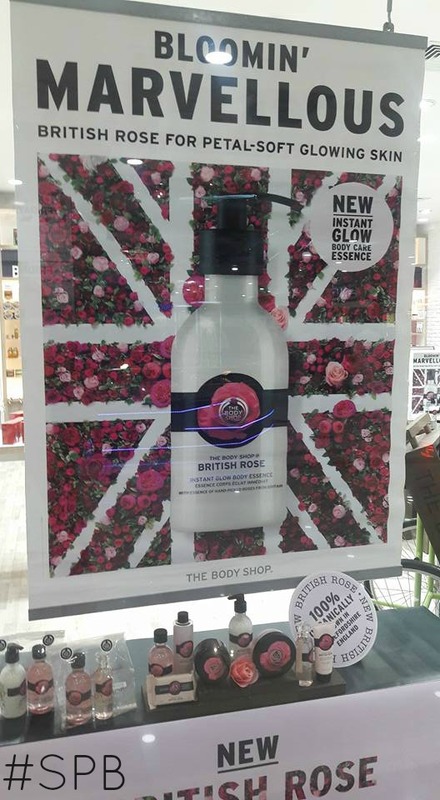 "Another fabulous pick for me, my daughter knows me so well :) Japanese Cherry blossom has been my all time favourite fragrance from The Body Shop, been there loyal customer/user. It smells so sweet yet so decent and makes me feel fresh all day, specially in the Summer-Time!" Mama. Price: Pkr 1990/- 100 ml. "A unique pick, this is more of her favourite type of fragrance, sweet yet strong. Black Musk shower gel fragrance has a very sensuous feel to it. I guess I'll gift to Huda :p" Mama. Price: Pkr 1890/- 250 ml. "This is a product I am going to re-purchase forever! Been using it since two weeks and I can see a difference in my feet, which are very rough and dry. With the peppermint effect it is very soothing and relaxing in these Summer nights." Mama. Price: Pkr 1770/- 100 ml. "This is the first time, I used a soap from The Body Shop range. This smells so good and aromatic, love using it for a bath or my daily hand wash." Mama. A little query - does British Rose fragrance same as Wild Rose one? I barely ever get a chance to drop by TBS outlet to check for myself. And what is your FAVORITE TBS product? Oh great picks, by the way my eyes were on black musk and British Rose. Feel, add these in my wish list and will buy something form their this range. Great picks, looks like you enjoyed alot. I really enjoyed reading all the TBS events posts. That was a great gesture on the TBS side. And you picked very nice products.